Preschoolers love to explore the world around them. We structure our ministry to engage all their senses through active play, small groups, storytelling, and high-energy worship. 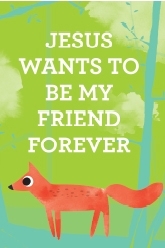 Each week in Sprouts we bring the Bible to life for your child. We promise to only send you great content that is relevant to your preschooler! Plus we give you an overview of what happened on Sunday so you can talk about it with your kids at home throughout the week!